Check out the Sci-Fi Series that are sound tracked by Alice in Chains’ new release Rainier Fog. read the Rolling Stone article below. 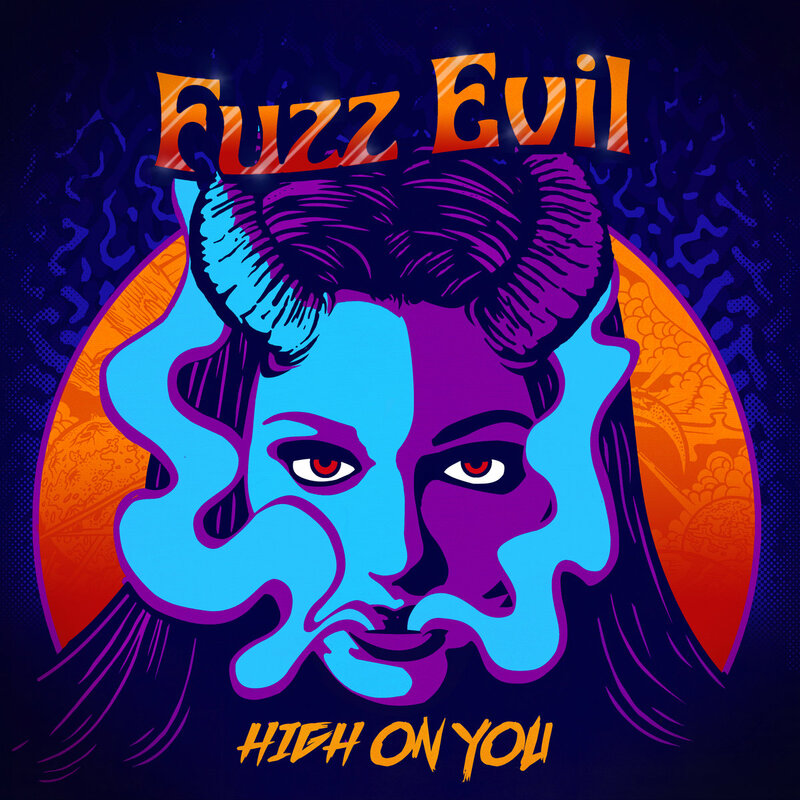 Fuzz Evil make it into the Doom Charts and keep creating awesome lyric videos. Fuzz Evil have made it to no. 13 on the September doom charts for their September 14th 2018 release “High on You”. I’m proud of these hard working fellas and their independent release. Imagine Scott “Wino” Weinrich and Red Fang walked into a bar wearing fluorescent spandex, mullets and sweet Oakley Blades. Yes, and imagine they then took the stage and hammered out fuzz filled riffs and anthem crumbling choruses. Are You In or Out? Fuzz Evil have been working hard making these awesome lyric videos. Have a long, hard toke before you watch these little gems! We tracked live at Dave Grohl’s recording studio 606 in two days, on the famous Sound City 8028 Neve console. Then we were off to my production space to wrap up overdubs, vocals, and guitar solos in three days. Take a listen to this talented band from Sierra Vista Arizona. I had the pleasure of mixing Alice in Chains August 21st acoustic set live at the Space Needle for SiriusXM. Then mixed their live performance at the Crocodile Cafe on August 24th, the day their new album “Rainier Fog” was released. Now here they are again with new single Never Fade and video to go along with it. Produced by Nick Raskulinecz, Engineered by(myself) Paul Fig, Mixed by Evil Joe Barresi. 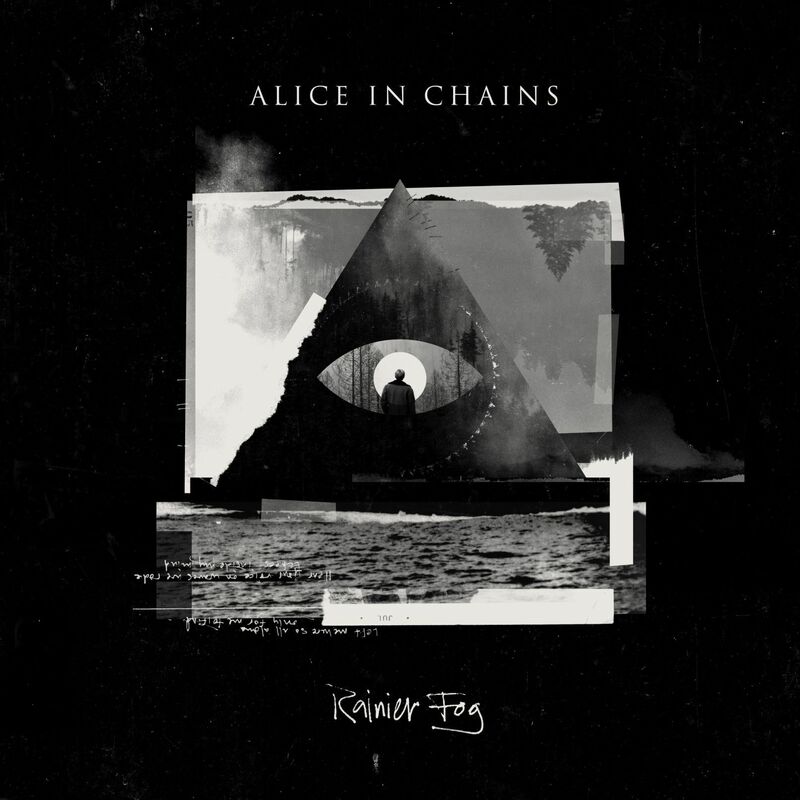 Alice In Chains is continuing their story from their “The One You Know” music video, with their official “Never Fade” visual. The cinematic “Never Fade” music video picks up right where the storyline in “The One You Know” left off with the same two characters as we learn more about who (or rather what) they really are. And the visual ends open ended, which means that the story is likely to continue in the band’s next music video. I am so excited to have engineered this recording with Slipknot. We have history from back in 1998-99 when I was playing guitar in Amen touring the U.S. with Machine Head and Coal Chamber. Then life put me at a crossroads. I gave up touring and being a recording artist to sit at the runner desk at Sound City, where I started my life over on the other side of the glass, so to speak. Since 2001 Slipknot hasn’t stopped. They’ve overcome so many tragedies and obstacles and shown true resilience in the face of the universe trying to slow them down. 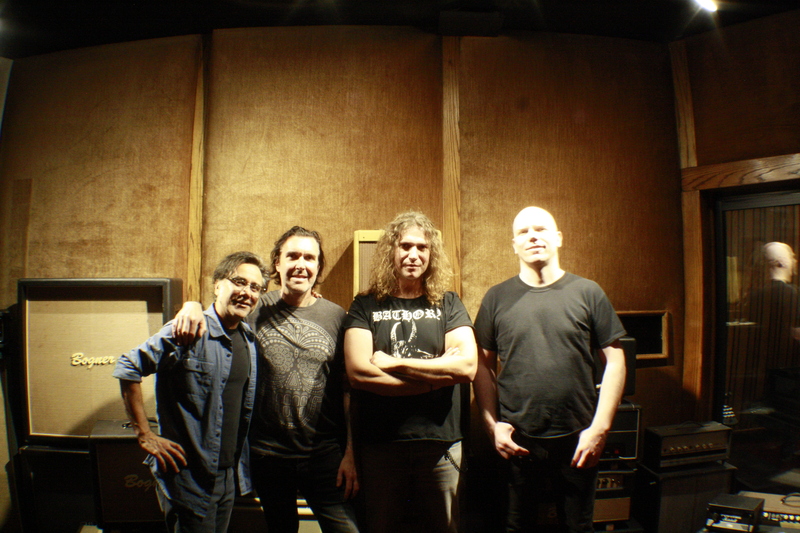 Now here we are together in the studio with Greg Fidelman at the helm as producer, corralling all their energy into this crushing recording. I am so excited for everyone in Slipknot for this release. Enjoy! ‘AllOut Life’, the Iowa nine-piece’s surprise new single, was released yesterday amidst countless claims from the band that their new album would be “‘Iowa’ levels of heavy” – a call-back to their genre-defining 2001 second LP. You’d be forgiven for rolling your eyes at those claims. The band are a full 18 years older than when they recorded ‘Iowa’– they’re now fathers and husbands, and have full bank accounts and back problems. Such things don’t typically lend themselves to the kind of nihilistic rage that ‘Iowa’ thrived upon (back problems aside). I had a blast tracking this EP with Adam and Hunter at Kingsize Sound Lab, in early July this year. 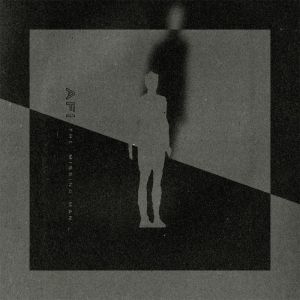 This was my first time working with AFI, and I was impressed with the dedication, focus and creativity these guys had, so get ready for the The Missing Man EP this Dec 7th. Take a listen to this new track! I look forward to hearing the rest of these super fun tunes. “Get Dark” is a great example of the band’s evolution from punk to gothy rock to whatever you call it now. Sure, there’s some synth in there, but there has always been nods to the new wave bands of the 80’s that influence AFI so much, and you can still hear Puget’s guitars loud and clear. As always, his guitar works is phenomenal on this song. Hunter Burgan’s bass cuts through like a knife, and Adam Carson’s drums are fill after fill before hitting hard as always. Lyrically, it’s simple, but Havok’s one of a kind voice still takes us on a journey into the new. 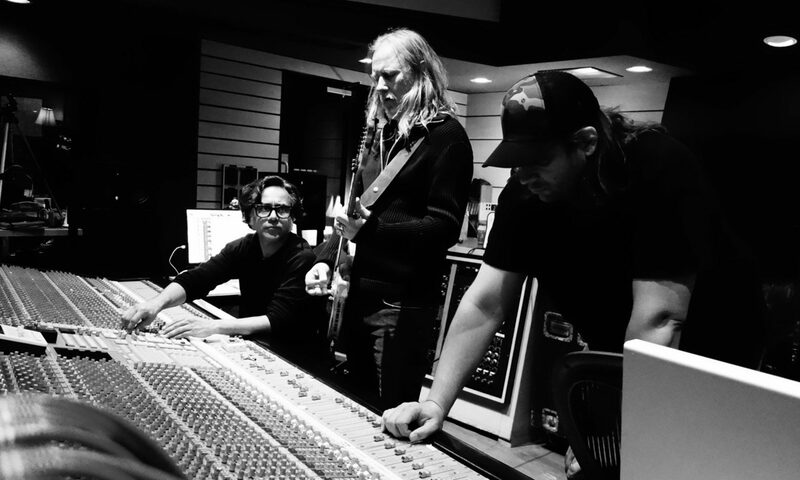 I have been working with Alice in Chains since I engineered “Black Gives Way to Blue” with Nick Raskulinecz as producer in 2008. We went on to work with the band on “The Devil Put Dinosaurs Here” in 2011-12. 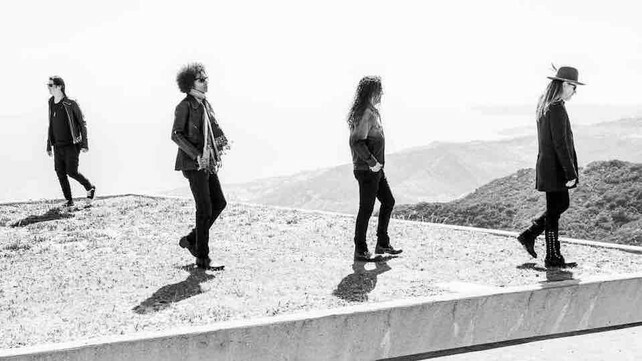 It was a long journey with AIC to get demos together for the new album especially when they were doing much of the writing between tours and travel. Its a privilege, and a hell of a lot of fun, to work with Nick, Jerry, Sean, William and Mike again to create this epic new album. The band wanted to go back to their roots and draw on some of the organic energy that they used to tap when they were part of the Seattle grunge scene. So we recorded this new album in Seattle at Studio X. From there, they went to Nashville to Nick Raskulinecz’s studio to wrap up overdubs and vocals. Then we were in Joe Barresi’s space (JHOC) in Pasadena, where he mixed every song. I’m really proud and excited of what we achieved with this album; it blends classic Alice in Chains with new sounds and moods. “Rainier Fog” gets released on August 24, 2018, until then enjoy these pre-released tracks! These guys got in touch with me after reaching out to Jim Rota of Fireball Ministry. They were looking for someone to produce their band Fuzz Evil and Jim mentioned me. After a few emails and phone calls while I was in Seattle tracking Alice in Chains’ new album, we made a plan. There was some great rough material in the early demos they sent and I knew that together we could mold those tunes into something crushing. We made plans for the trio to drive through the Arizona desert to Burbank, CA where we slaved for two days on pre-production at my space, Underbrow. Then we were off to Studio 606 (the Foo Fighters studio owned by Dave Grohl) to track live on Sound City’s famed Neve 8028, the recording console that Grohl rescued from the failing studio. We tracked for two more days then were back in Underbrow for three days to wrap up solos, vocals, and a shaker track. These guys stepped up and delivered some of the most fun stoner, desert rock ever. They hilarious and a blast to spend time with, and they worked their asses off. We crossed the finish line in five days. I enjoyed every second of their energy and work ethic as I pushed them to deliver. The fun and the hard work show in the music we produced. I look forward to hear more from these three. This all started when Sam West asked to meet for a beer to chat one sunny California summer day in 2016. After catching up with life, Sam asked if I would like to produce the new Stavesacre album. Sam and I played together in Scaterd Few and in Human Rights with HR from Bad Brains, so I know he can beat a drum. Without hearing any demos I agreed to work with Stavesacre. The next few months (in between engineering gigs) I helped them arrange and shape their demos. Half a year later we started tracking drums and guitars (lots of guitars) with Ryan Dennee and Jeff Bellew, and then finally tracked bass in one weekend after Dirk Lemmenes flew out from Atlanta, Georgia. In January 2017, Mark Salomon materialized from the east coast where he had been working hard on lyrics and melody. He sang for nine straight days. Two with his vocal coach Jason Martin at his Bull Shed studio, then seven days with me at my space, Underbrow production. Stavesacre knocked this one out of the park. While wrapping up Fireball Ministry’s Remember the Story and Ironaut’s Sick Stupid Lies, AND gearing up for Alice in Chain’s recording session in Seattle, we mixed at fever pace. 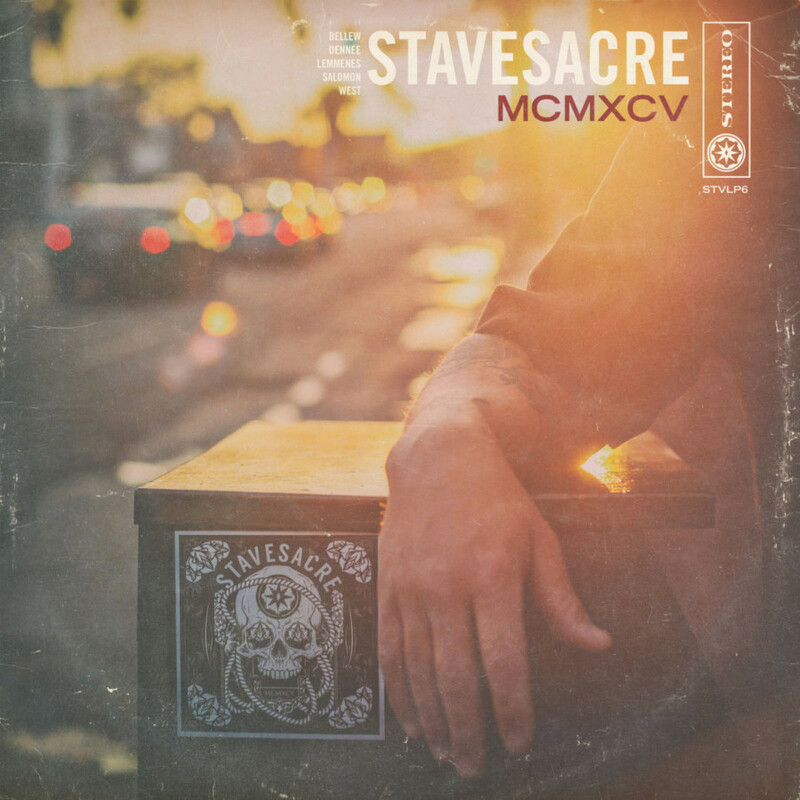 I am extremely proud of to have produced this Stavesacre record, and I hope we can do it again. From the first notes of “The Dead Rejoice” you can tell its Stavesacre, as the Bellew/Dennee twin guitar attack is immediately recognizable. This opening track (not counting the sound collage, “Intro”) speaks of spiritual death and reawakening and brings hints of the joy the title implies. “Sleepy Head” reminds me of Friction’s “At the Moment” in that melodic, quasi-ballad-that-rocks sort of way. “On Being Human” is a straight forward rocker that grab’s the attention of any listener in danger of drifting off track. Interestingly, penultimate track “Moonstone” intro could almost pass for a lost SF59 track, and while it shifts when the song kicks in, there is a remarkable similarity (influence?) of later period Starflyer stuff (post-2005 or so). “Breathe Me” is incredibly emotional and atmospheric (Sia Cover) performed in a way I haven’t heard them do before, which drives the point made above the band’s maturity during their lengthy silence. 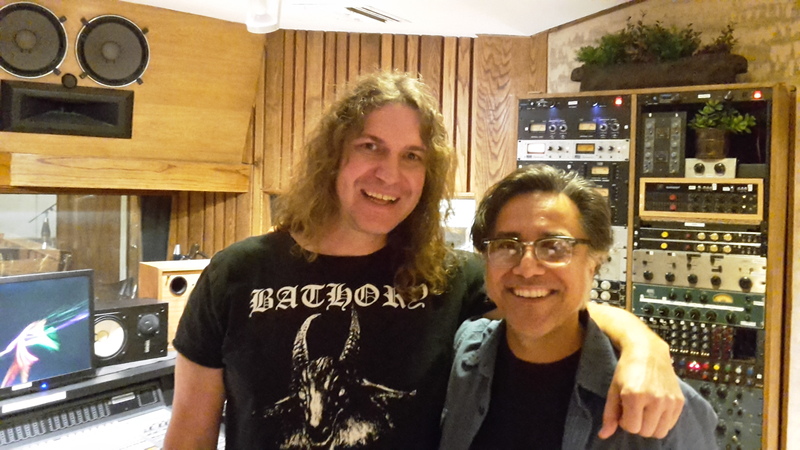 Jim Rota and I hit it off while co-producing Huntress’s Static Album in 2015. 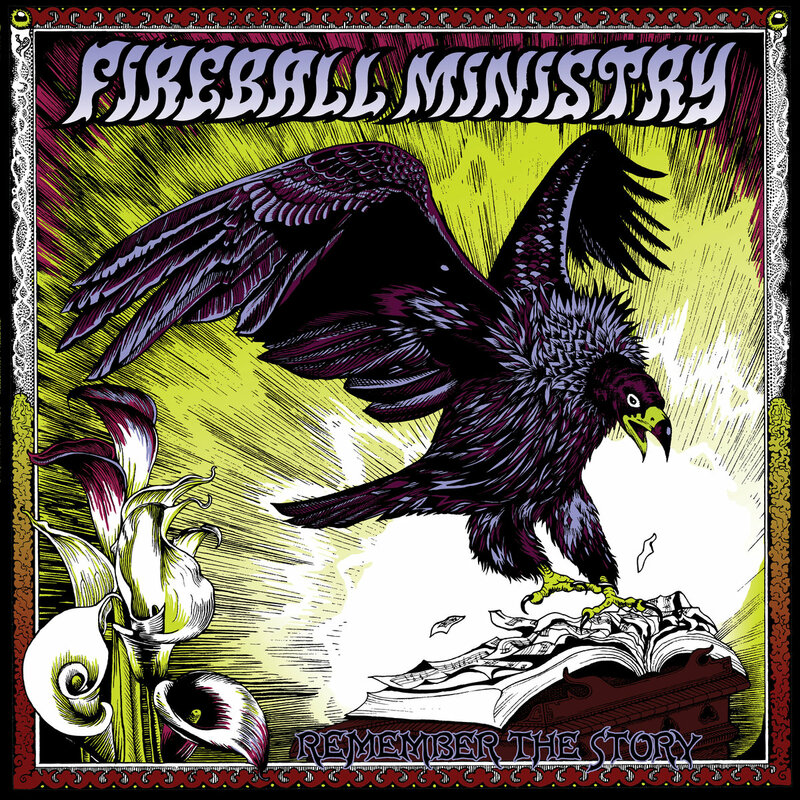 A couple years later, Fireball Ministry landed a deal with Cleopatra Records and Jim and Emily asked if I would like to produce their new record. Hell yes! I’m a big Fireball Ministry fan. How can you go wrong with Rota, Burton, Scott f’ing Reeder, and Big John O! With my hands full of class A mic pres from Shadow Hills Industries and Aurora Audio, tracking when we could, I set up for drums with John O in the middle of Angel City Drum Works’ warehouse. Then I tackled guitars with Emily and Jim. Once we had a nice pile of tracks we headed toward Palm Springs to Banning to track bass with the left handed, barefooted beast of a desert rock low-end player, Scott Reeder, at the studio on his ranch. 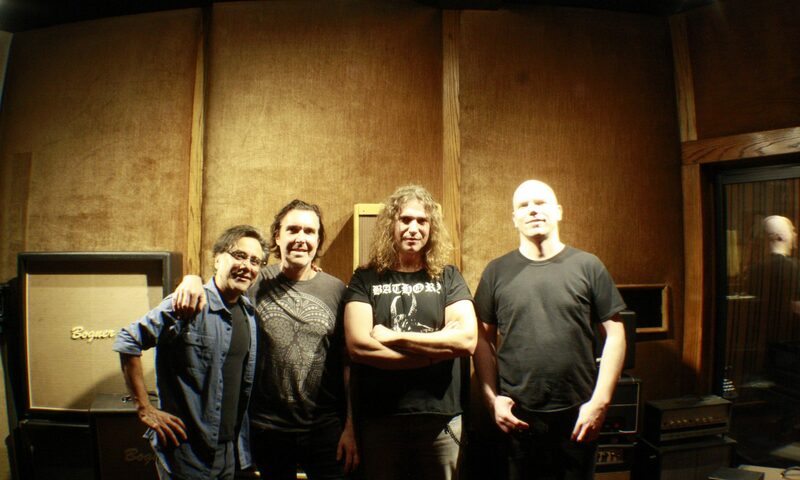 The Obelisk’s review of the album said, “…as opener “End of Our Truth” and the following “Everything You Wanted” set a tone through hook, comfortable tempo and a purposeful fervency of groove, the contribution of producer/engineer Paul Fig — who has helmed records for post-reunion Alice in Chains as well as Rush and Ghost, among others of a more metallic ilk — shines through in presenting the songs with a clean sense that nonetheless doesn’t detract from their harder-hitting aspects”.